Hover over image and use arrows to see all photos, or click to view full slideshow. 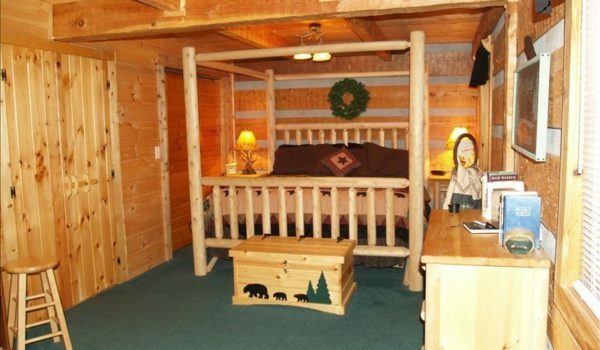 John 15:12 is a True log cabin. 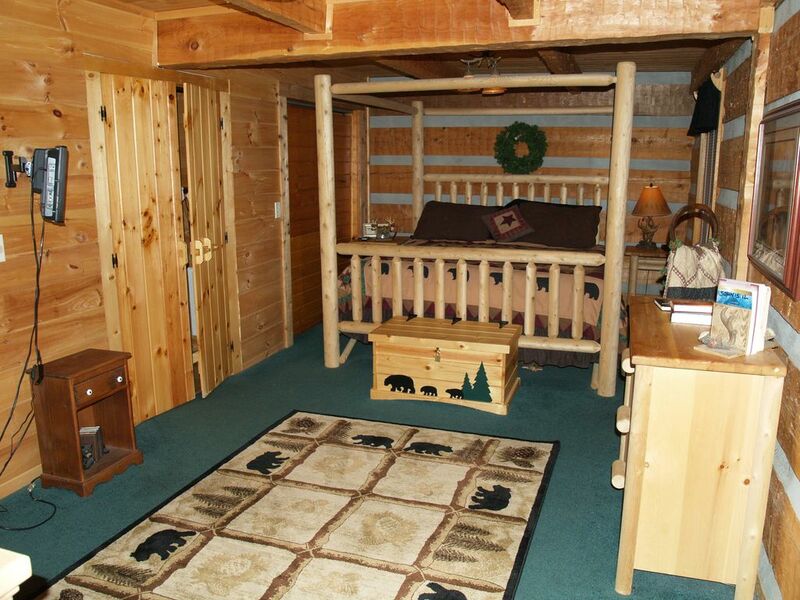 It has a very private deck with a large hot tub and log dining set for a beautiful evening. Rockers and a Gas grill on the front deck. 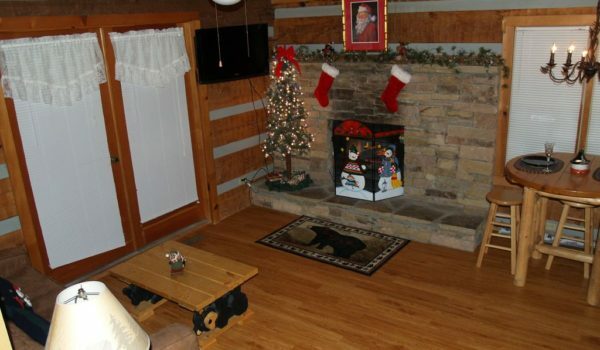 A beautiful stackstone fireplace in livingroom. John 15:12 is 7.2 miles from DOLLYWOOD LANE. 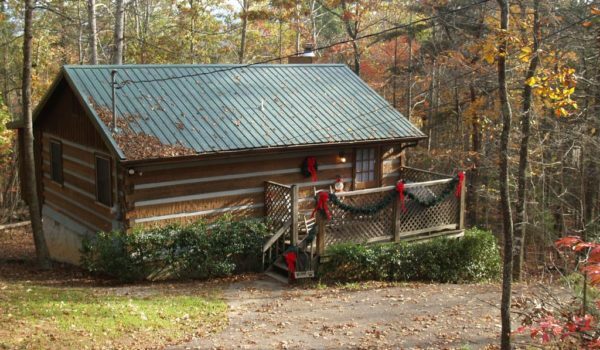 It takes 5 minutes to get to downtown Pigeon Forge from the cabin. 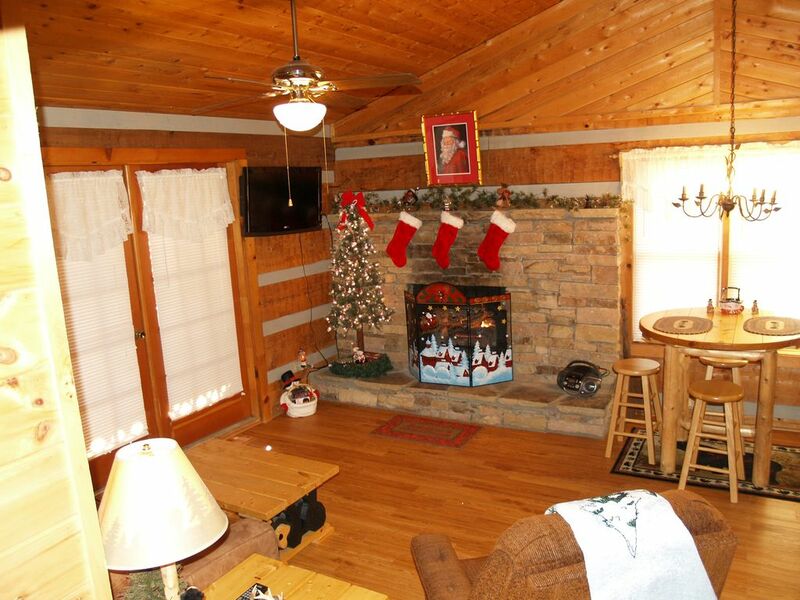 The cabin is just 5 miles to stop light #3 on Wears Valley Rd., the heart of Pigeon Forge. 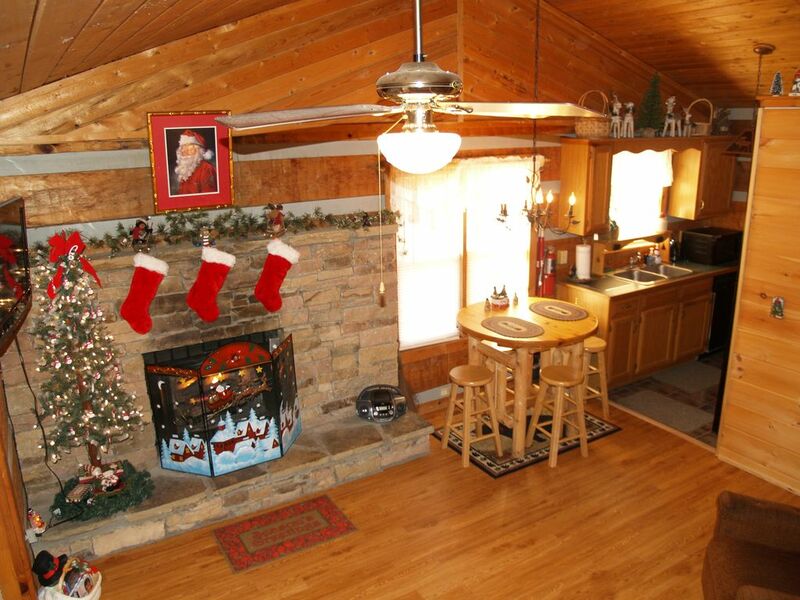 John 15:12 also has a second Fireplace in the bedroom that stays open all year. 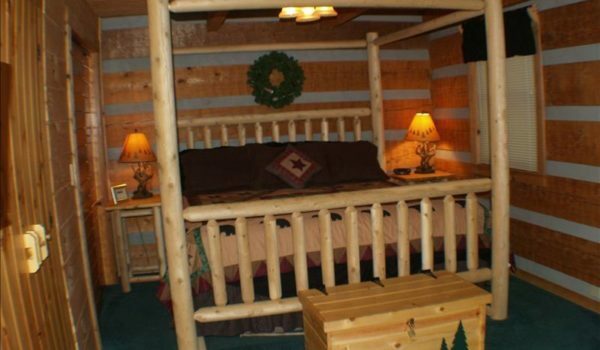 It has a very personal and Romantic atmosphere. Believe me the pictures don’t do it justice. John 15:12 is located around the corner from Matthew 11:28 and Amazing Grace see map. And I almost forgot. I am a Holiday nut. 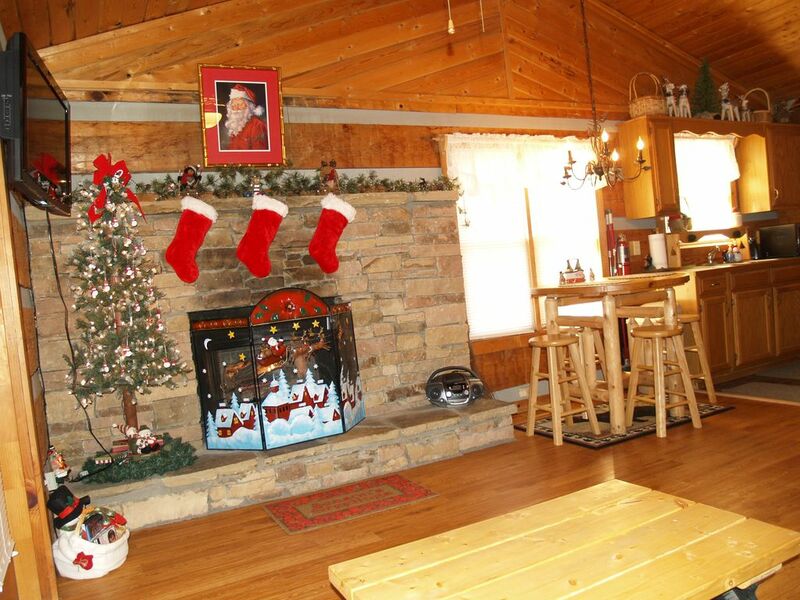 All of my cabins are Decorated inside and out for Christmas. 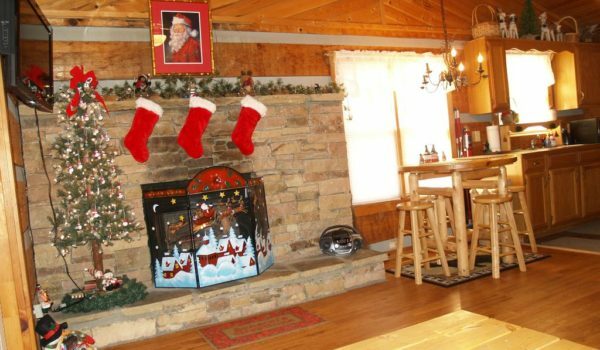 Stockings hung by the fireplace, Christmas quilts on the bed, Christmas Tree lit and decorated, a snow man tucked here and there. Most of all a manger with our Lord and Savior nestled under the tree. 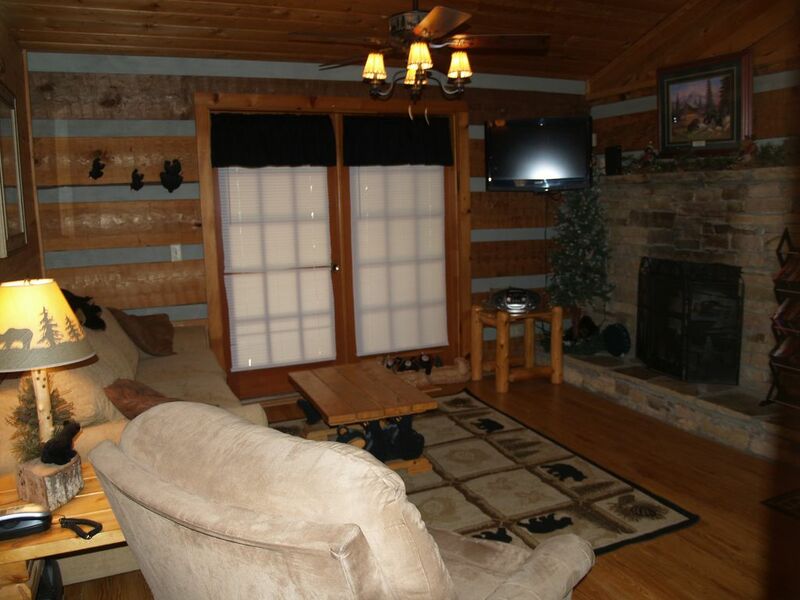 The cabin Is very comfortable and it is a nice place to stay. Close to Pigeon forge. The owner responded quickly and she was very helpful with the process. 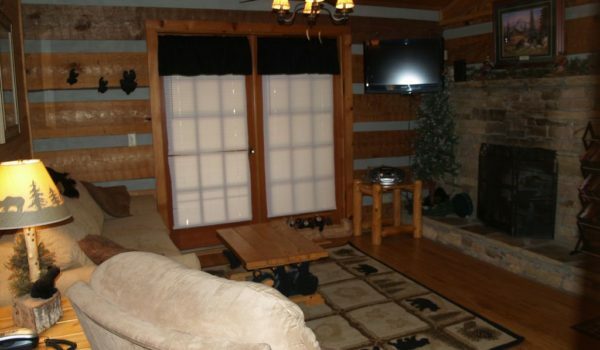 I would definitely use this cabin again if I have another getaway with my husband and kid. Thanks so much!! My husband, my daughter, her best friend (both 12) and myself just left from a 3 night stay at John 15:12. 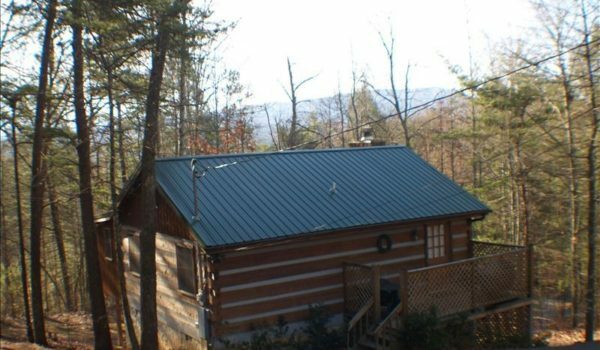 After trying to decide which one of Natalie’s cabins we wanted to rent (because they all seemed wonderful), we missed out on our top 2 choices, but Natalie worked with us and we were able to rent this cabin. Which turned out to be amazing. It was not hard to find the cabin (google maps and Natalie’s directions were spot on). The road is a little steep, but it is paved and it was easy to get to. 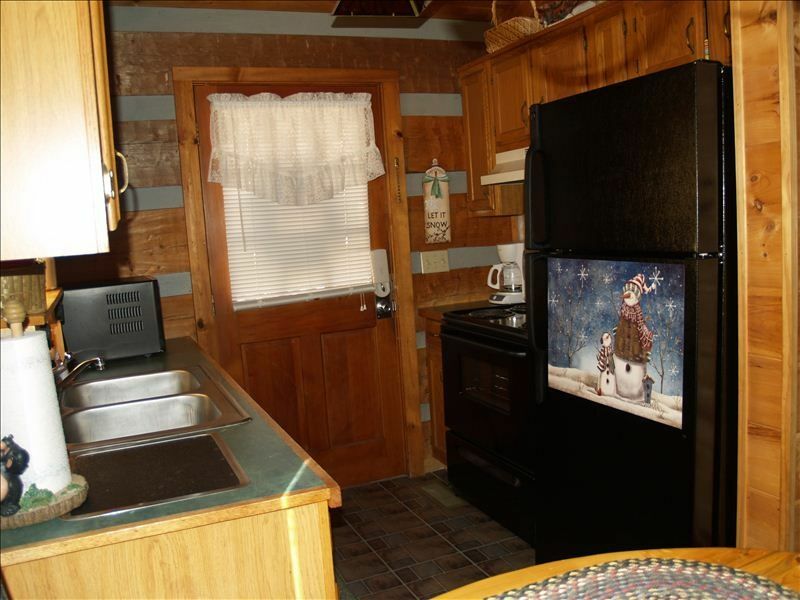 The cabin was very clean, lots of extra towels, everything you need to cook/eat with, ice, both the bed and sofa bed were comfortable, the hot tub was so relaxing, the wooded view was nice and it was very quiet and peaceful. We definitely didn’t want to leave. Thank you Natalie. We will be back! 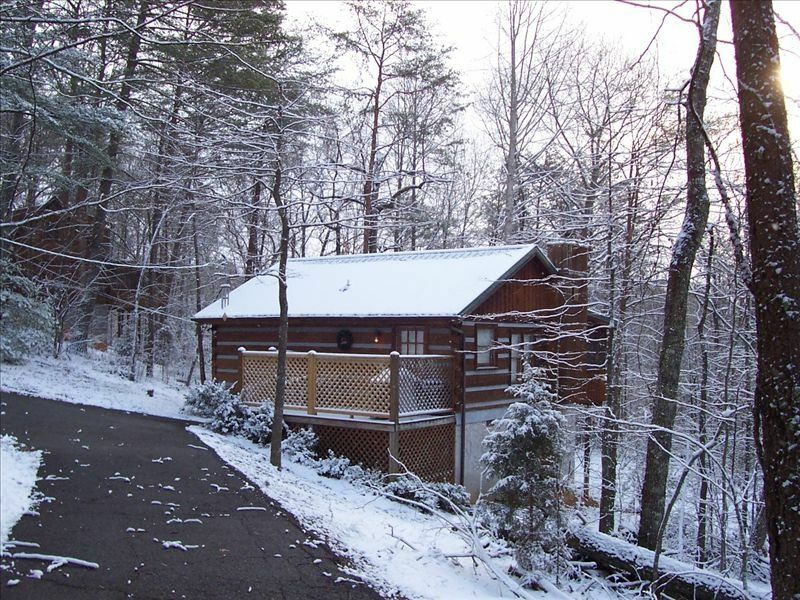 My boyfriend and I just returned from spending 5 wonderful nights in the Great Smoky Mountains in Natalie’s cabin. 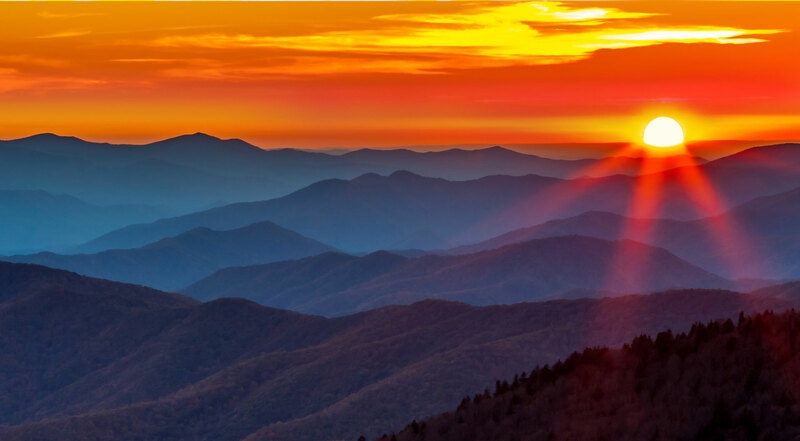 The location was perfect for us, a short drive to the national park and the more “touristy” areas of Gatlinburg and Pigeon Forge. 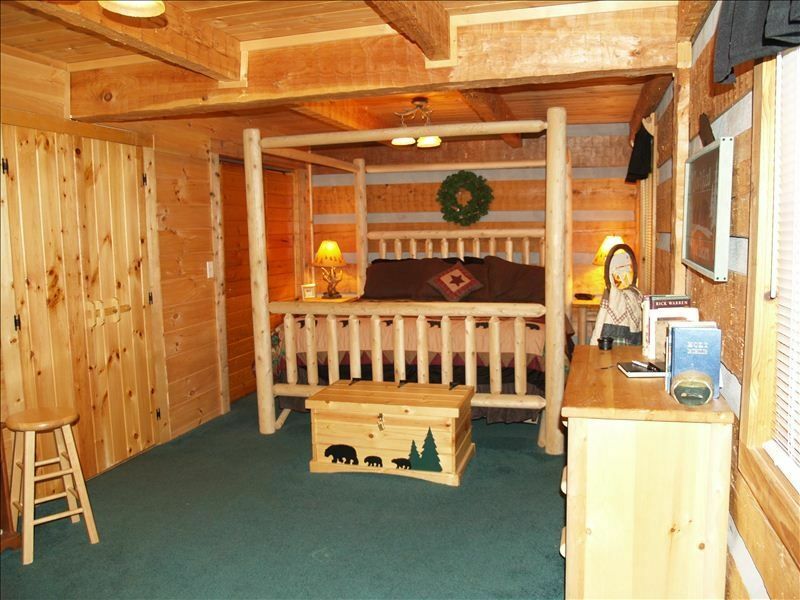 Additionally there was tons of privacy from other cabins in the area. 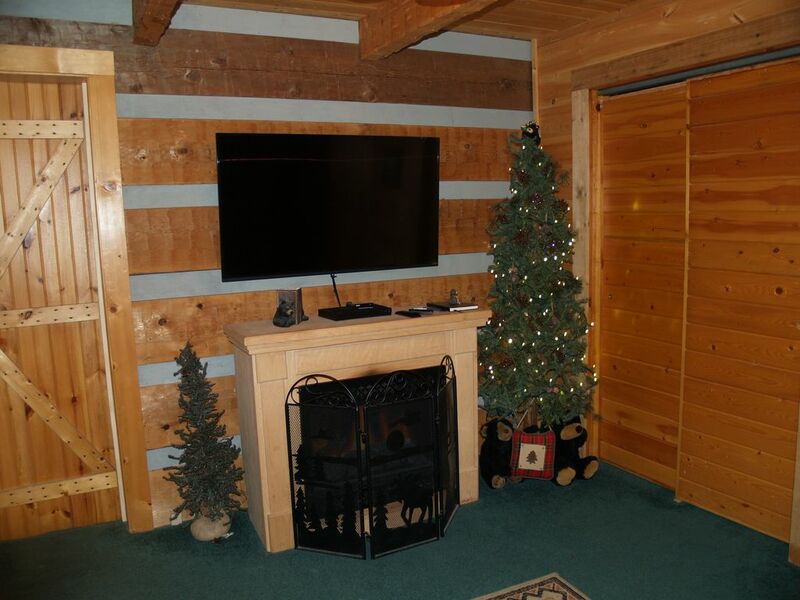 The cabin was very clean and the living spaces were wonderful for making a home cooked meal and relaxing after a long day of hiking by hopping in the hot tub! Natalie was very helpful during the booking process and was very clear in directions and instructions about the property. My only complaint is that our stay was too short but we enjoyed our time immensely and will definitely be back to John 15:12 very soon! Thank you Natalie for your hospitality! 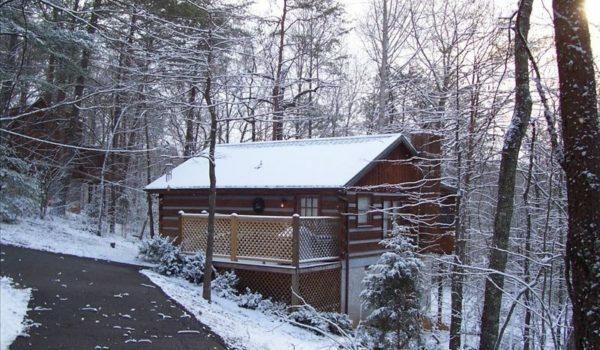 My husband and I just spent our honeymoon here in this sweet little cabin. 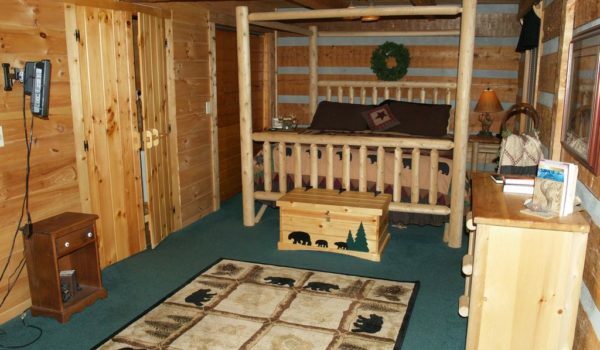 We loved the location, it feels like you are totally secluded even thought there are other cabins around. 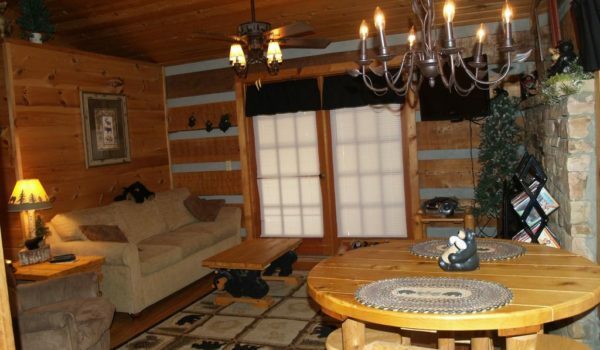 The cabin was super clean and had everything we needed. 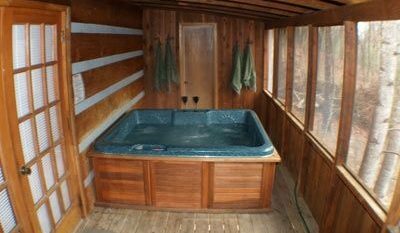 The hot tub on the enclosed porch was wonderful! We thoroughly enjoyed our stay and plan to come back! 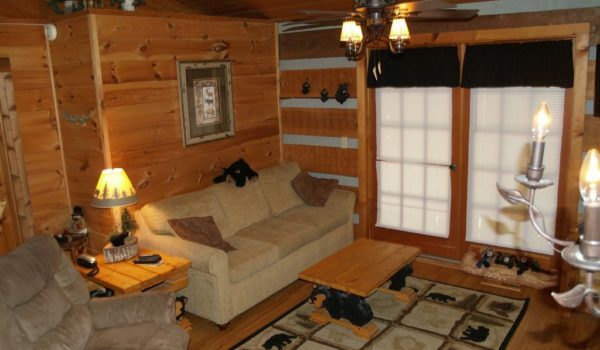 This size cabin was perfect for us! My husband, me, and a 15 & 10 year old. They slept in the living room, the 15 year old on the pull out and the 10 year old opting to make his nest in the recliner even though we had brought a sleeping bag for him, as the bedroom is plenty big enough and carpeted. The location is great, easy to get to, close to things, feels secluded, and the road to get to it is not scary. Super easy load in/out. 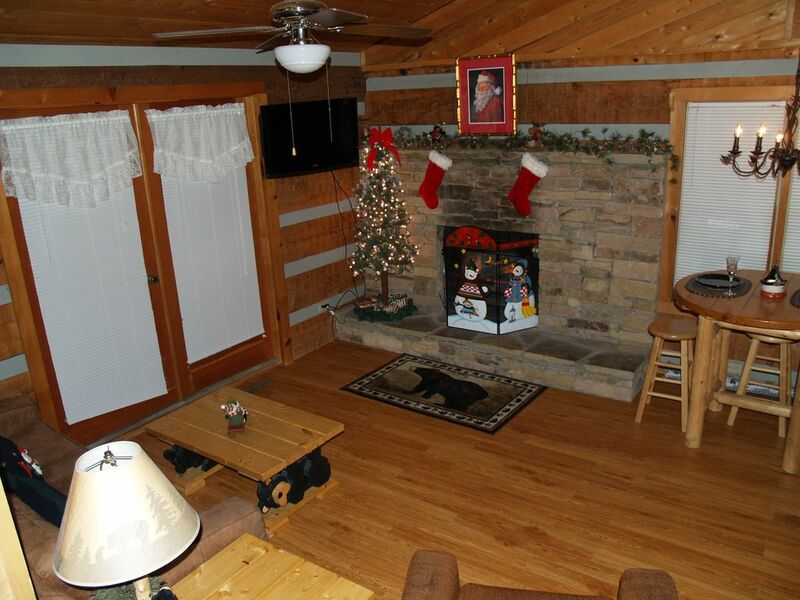 The price is right and the cabin is so cute and clean. It was like staying at a friends’ house. Had everything we needed and the King size was super comfy. 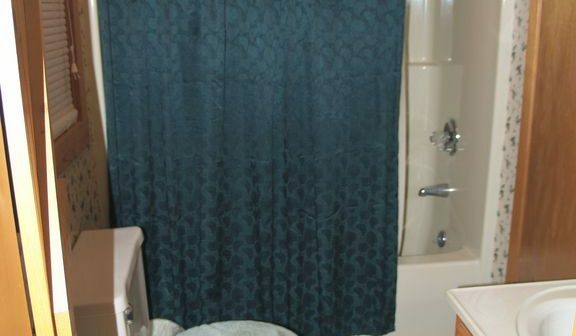 Having 2 full bathrooms was fantastic and allowed us to get ready in the morning super fast. I will warn that this is a dry county, (we don’t have those where we’re from, so this was new). The restaurants can serve, but only 3.2 beer is available for taking back to the cabin, so if you like a cocktail or 2 at the end of the day, BYOB. (We’d luckily done that). We’re also a little picky about our drinking water, so will bring our own next time. Had a wonderful stay though, and none of us wanted to leave! So much nicer than staying in a noisy hotel. Hope to return! My husband and I just returned from our weekend getaway to celebrate our 16 year wedding anniversary. We were lucky in finding this little jewel. It was the perfect size for just me and him. The location is amazing. It is surrounded by beautiful trees, with other houses close by, but because of the location and foliage, you still feel secluded. 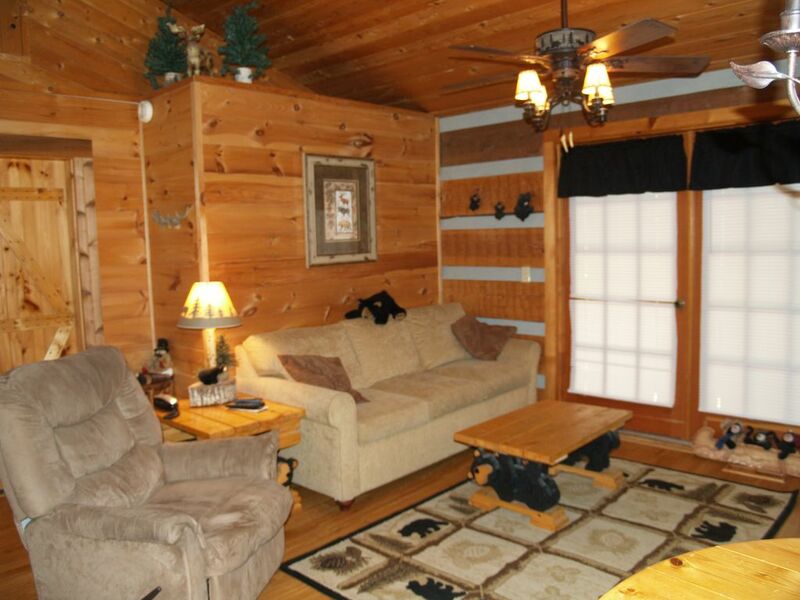 It is not hard to find or time consuming when traveling between Pigeon Forge/Gatlinburg to the cabin. We traveled to the area not so much for sight seeing, because we do come often with our children for that. But we wanted a peaceful stress free weekend, and we got it. 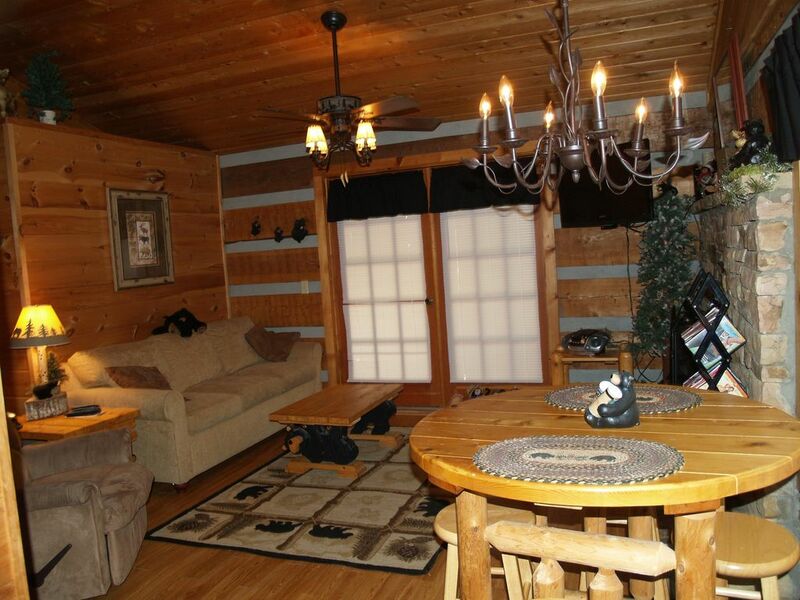 Between the location, the feel of the cabin, and the relaxing hot tube, we couldn’t have asked for anything better. We were weary at first because my husband is a smoker, but please don’t let that scare you away. 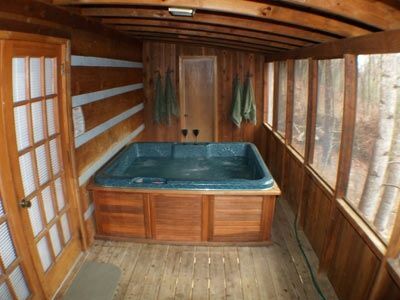 There is a huge back porch where the hot tube is that is completely screened in, so if you do smoke you can relax out there and have your smoke breaks. 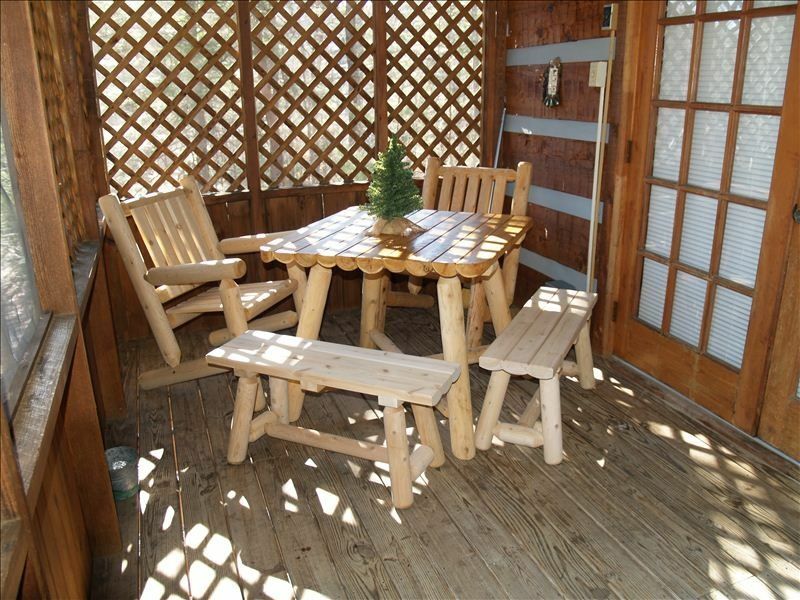 There is also a great little front porch with rockers to enjoy to. We felt so at home here, and had such a great weekend. Natalie is great to work with. She is quick and efficient. We had no problems while there, but I was comfortable with the fact that I knew if anything was needed she would have absolutely assisted anyway she could have. We will definitely be returning to this little jewel, and highly recommend it to others. 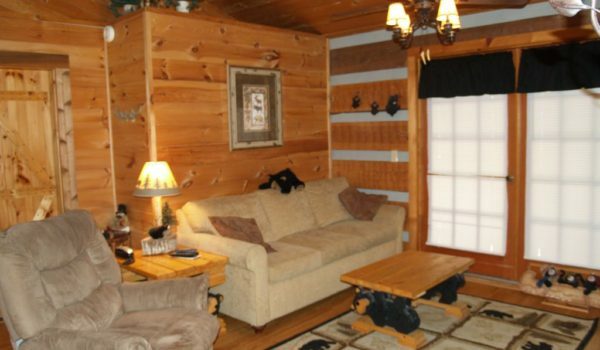 My husband and I enjoyed six nights in this cabin. 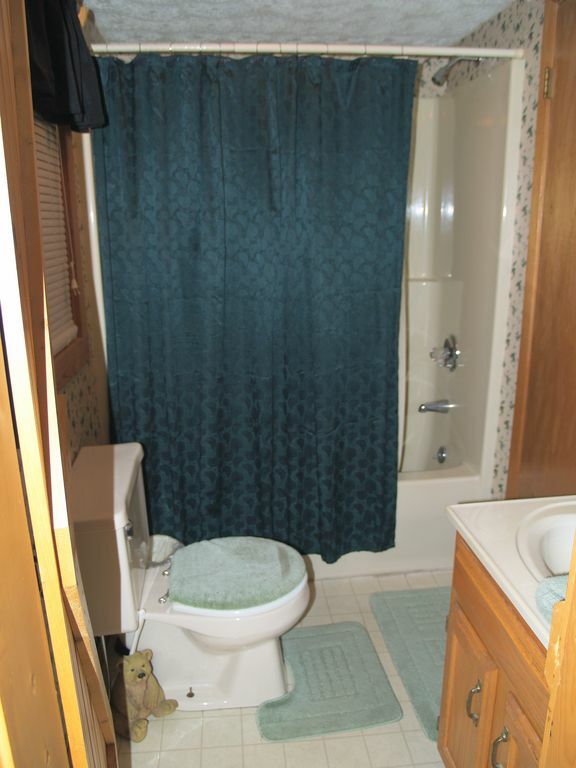 It was very clean and very well equipped. 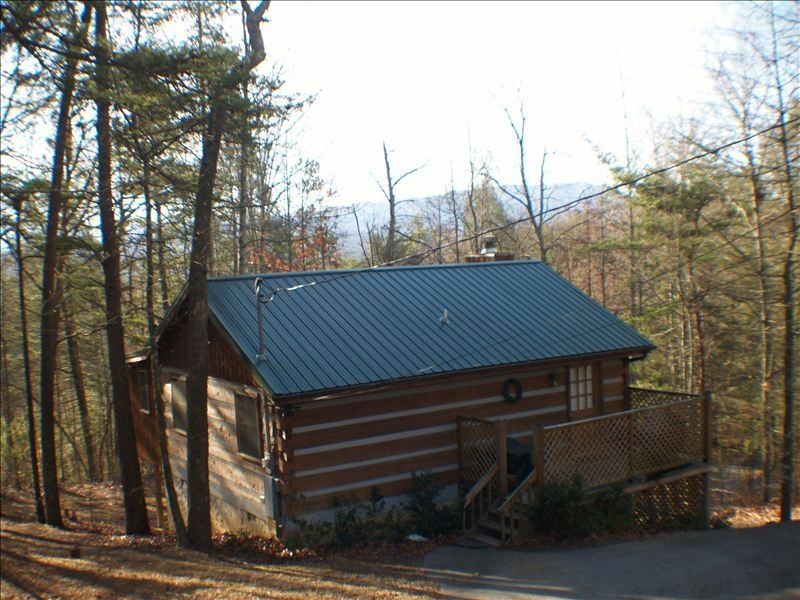 I especially enjoyed the cabin being on one level and with only a couple of steps away from where we had to park our car. 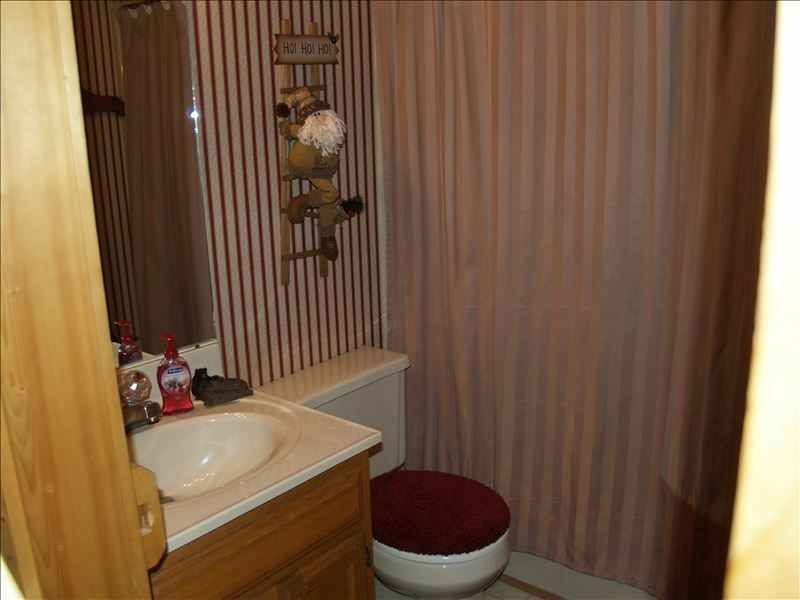 It is a very nice area and convenient to the Forge in just a few minutes. 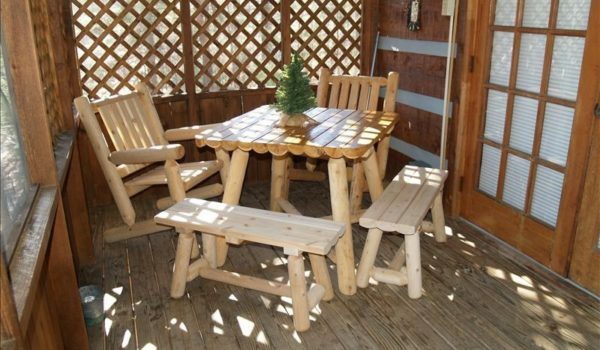 The owner was easy to contact and everything dealing with booking and paying was just as it should have been. We hope to return at another date! 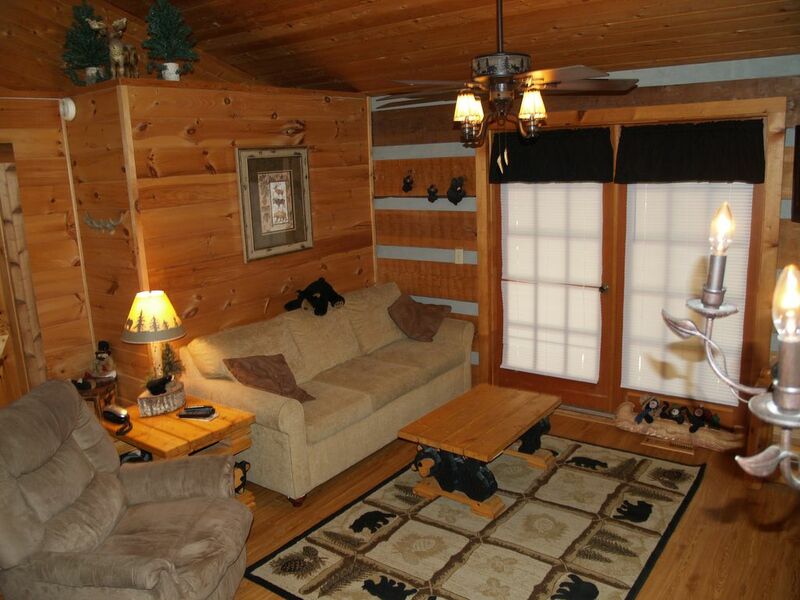 Thank you for renting us your beautiful cabin. It was a PERFECT weekend get-a-way. It was very clean. Location was excellent and easy to get to Pigeion Forge. 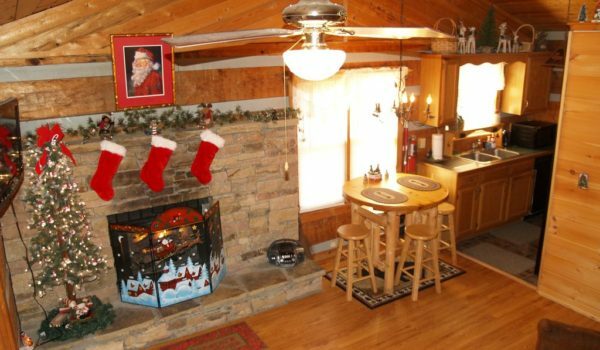 We loved the hot tub and fireplace on the cold nights. It snowed while we were here. We will be back!!! Go Panthers!! 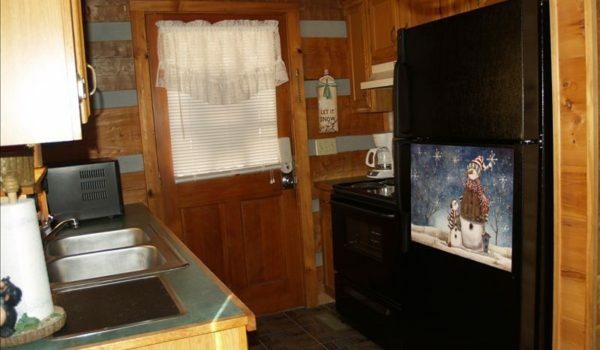 Cabin is very relaxing. It is perfect for two people. 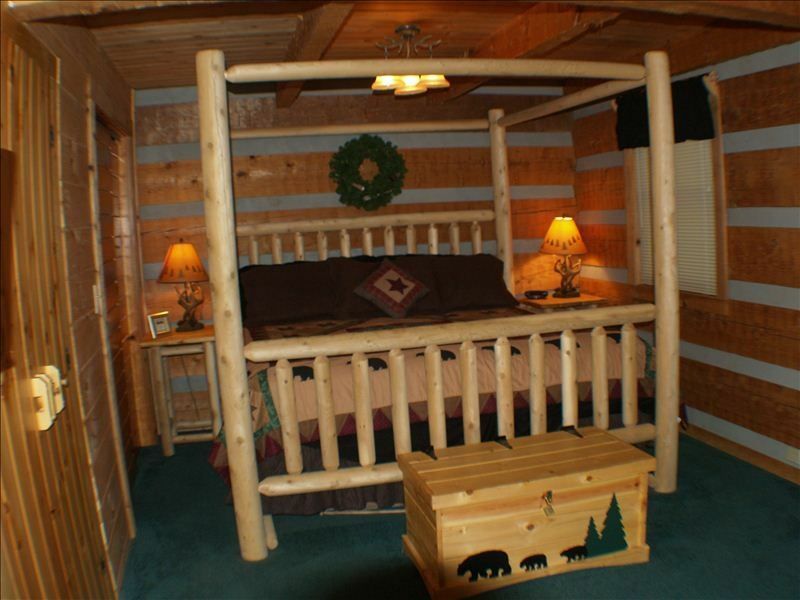 Provides a welcome feel not always found in lodging of this type. Screened in porch is great for early morning coffee as things come to.life of late evening hot tub use. 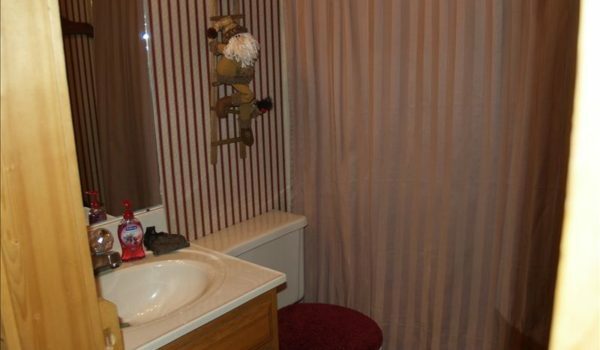 Provides an extra layer of privacy. 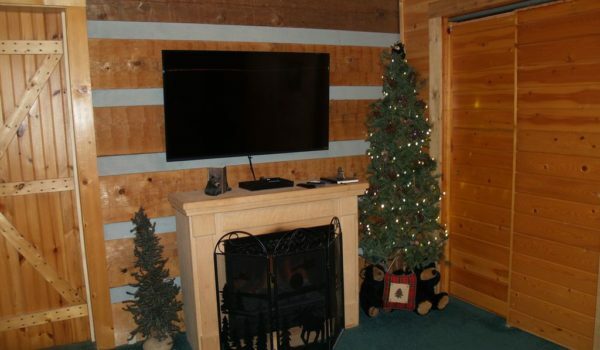 My husband and I stayed here for a week and it was just perfect. The king sized bed was very comfortable and we were given plenty of towels. The kitchen had everything we needed and everything worked well. 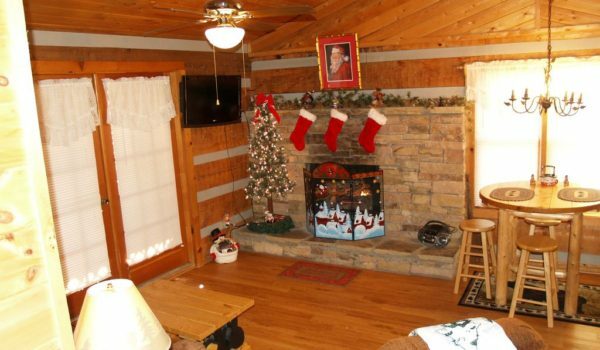 The cabin is cozy and we loved having the screened-in porch as well as the rocking chairs on the front deck where we could enjoy morning coffee. It was nice to be close to Pigeon Forge but away from the crowds. We can’t wait to return! Thank you Natalie!